After today, Dave is away for 3 weeks, sunning himself on a long awaited holiday. He’ll be back as of the second week of November, so if anyone emails him, or buys any comics he’ll pick them up when he gets back. He’s also trying to get the last of the contributor copies away before he goes, but if he doesn’t manage- he’s really sorry, and will catch up with you asap. 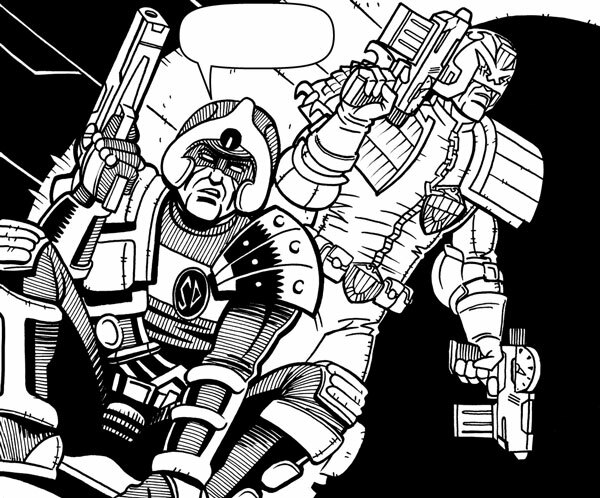 From Strontium Dog- ‘Death to the Future’ You really wouldn’t mess with these guys, would you? By Lee Robson and Dunk! Nimmo. 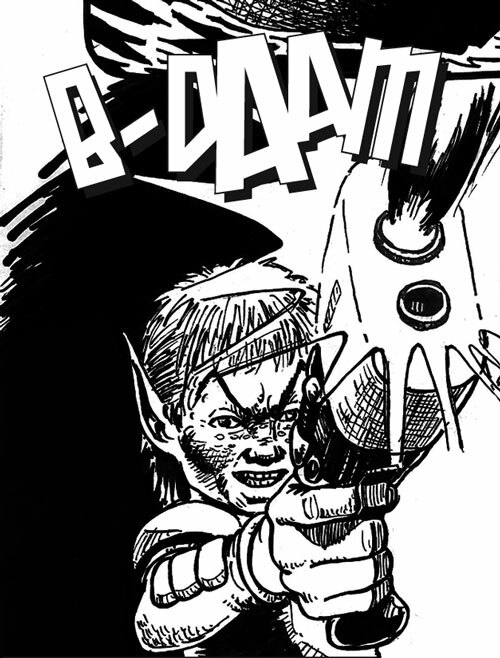 Dogbreath 23 is also the finale to Laura Gonzalez’ adventure ‘From Below’ a strip that features an underage mutant wielding fearsomely overpowered weaponry! By Alec Robertson and Bruce (I’m in every issue because I’m brilliant) McLaren. 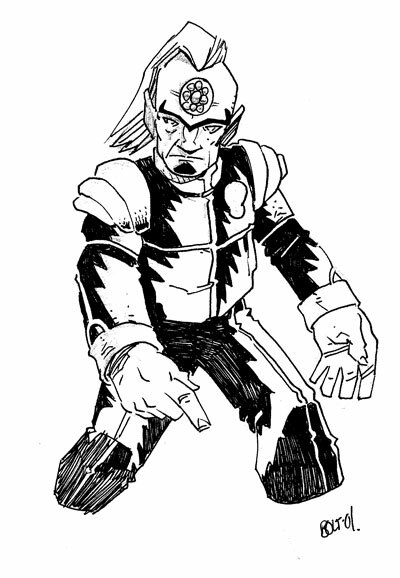 From ‘The Last Laugh’ in FutureQuake 16, by Karl Stock and Chris Fenoglio. To be honest, if he wanted the last laugh- I’d let him. There’s an old line- ‘In space, no-one can hear you scream’ Remember that?﻿ Well, I bet the poor radio operative this guy is talking too wishes he couldn’t hear what is being said here, either! From ‘Generations’ by Russell Norriss and David Frankum. 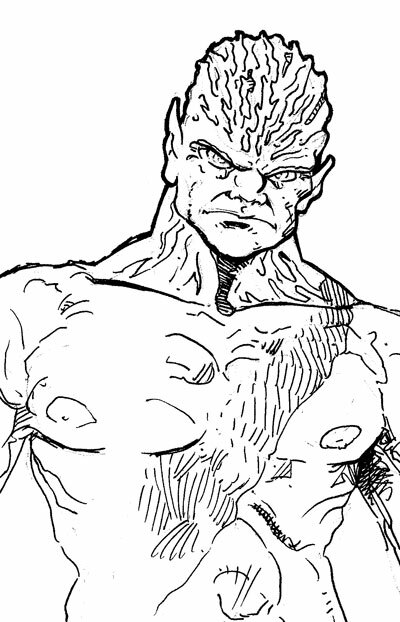 Slaine makes a most welcome return to the pages of Zarjaz in ‘A Place of Shelter’ by Alec Robertson and Roland Bird. 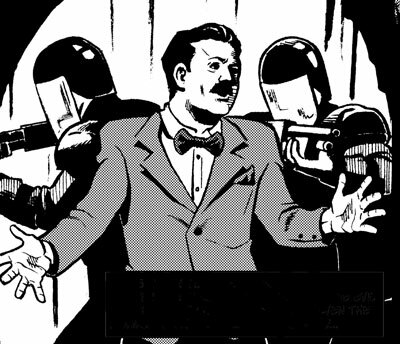 In ‘Death to the Future’, Find out why Johnny Alpha made the trip to Mega-City one. By Lee Robson and Dunk! Nimmo. 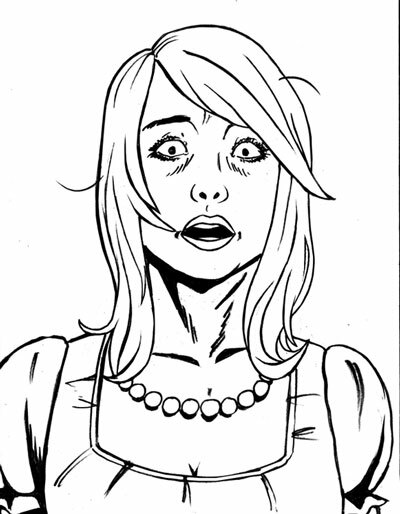 Are you thinking- what is she looking so stunned for? In ‘Like Mother, Like Daughter’ (by Ben Jennings, Chris Godfrey and Johnny Hoang) you’ll find out. And just when you think things can’t get any worse, someone shoots you in the head! From ‘A hobby a day’ by Dan Hill and Matt Birks. The lead strip in this issue of FQ is ‘Bargain Hunter’ by AD Smith and BMB. You will have to read it to find out why I made it the cover strip. Meet the Cabbie, he’ll make sure that you reach ‘A Better Place’ in a tale by Dave Hailwood and Stu Giddings.